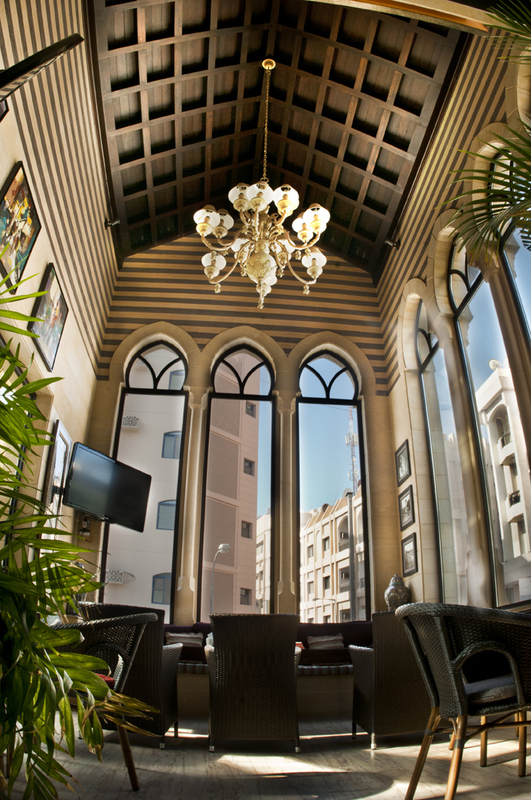 AlBindaira is an exciting Middle Eastern cafe that blends the traditional sheesha coffee shop with quality food, service and atmosphere. 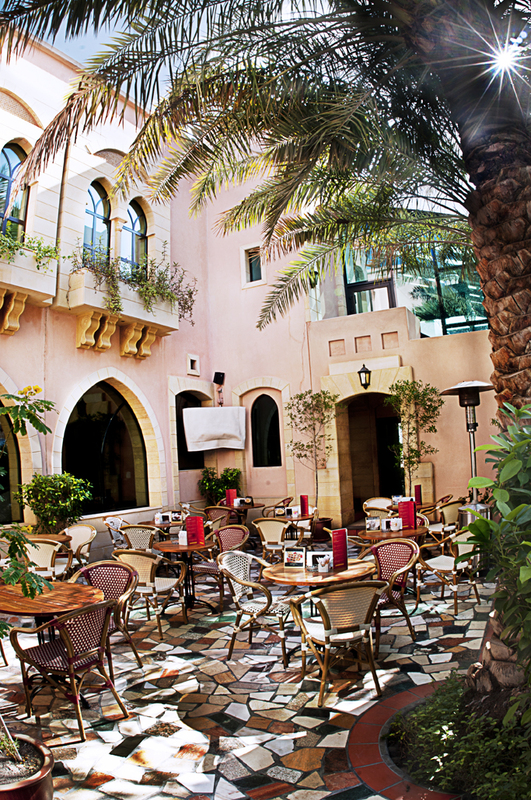 AlBindaira combines authentic Arabic mezze, grills as well as regional and international dishes with an extensive variety of teas, coffee, fresh juices and sheesha. 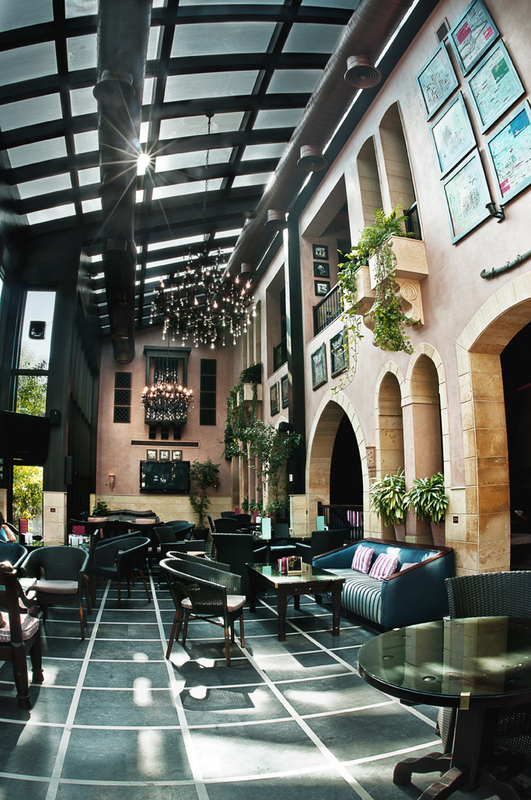 The cafes are designed with the comfort of guests prioritized; a mixture of sofa sets, wooden benches and dining tables create an organic seating layout scattered in between ornate stone arches, split levels and private rooms.